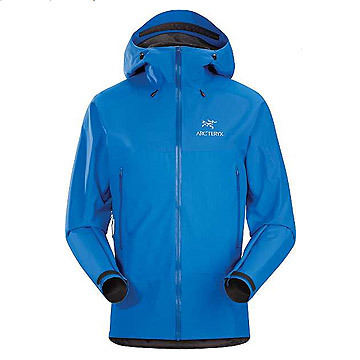 A breathable wind and waterproof outer layer gives extra verastility when teamed with a fitted inner jacket, wear them separately or together. 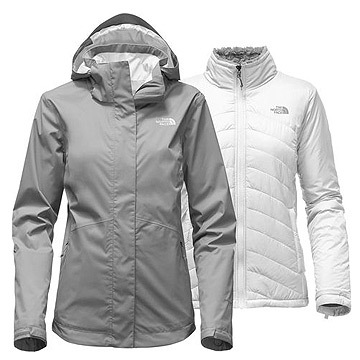 1 - Windproof and waterproof outer shell. 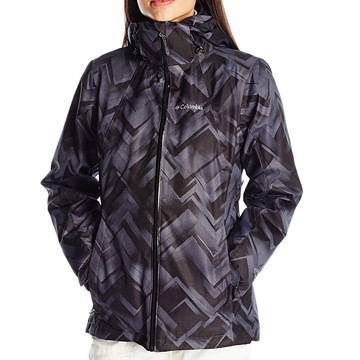 2 - Insulated soft lightweight jacket. 3 - 1 and 2 worn together. Why does this idea work so well? 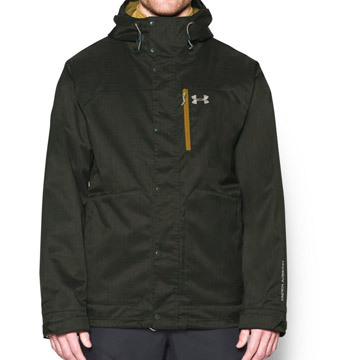 Year-round rain protection from the outer shell. 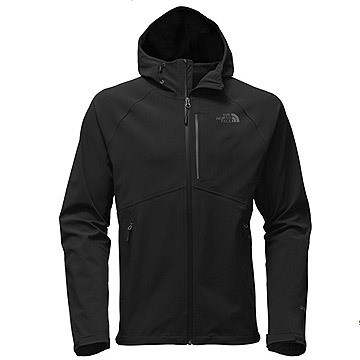 Use the soft inner jacket in situations where you would use a fleece or hoodie. 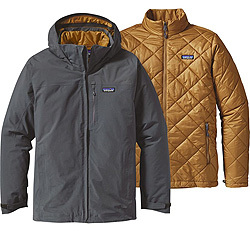 Used together the two jackets create their own layering system, trapping warm air between them as well as within each layer, so giving more warmth that you would expect from the low bulk. As the two jackets are designed together, they physically fit and co-ordinate better than if they were two urelated garments. Often there are fastenings to keep the two jackets together so they can be taken off and put on again as easily as a single garment during colder weather. 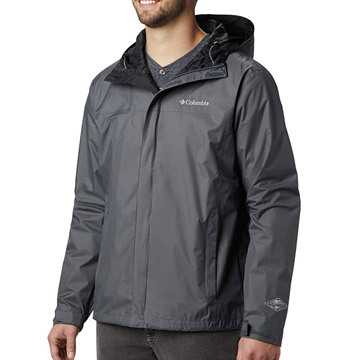 A great solution to year-round outdoors protection is an outer coat that can become more or less insulating as the weather changes. 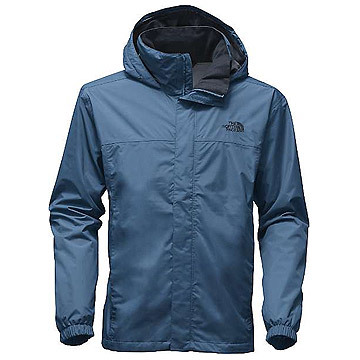 I have one of these jackets and I love it year round. Mine has enough insulation to keep me warm down to about 20F (-6C) which for where I live is just about perfect as it doesn't hardly ever get lower than that. 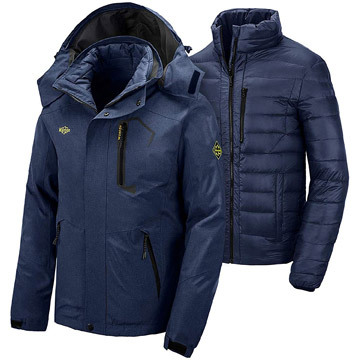 You can get greater degrees of insulation, though these coats aren't designed for extreme cold as the bulk of the insulation needed would mean that the outer shell would be rather too loose when worn on its own. 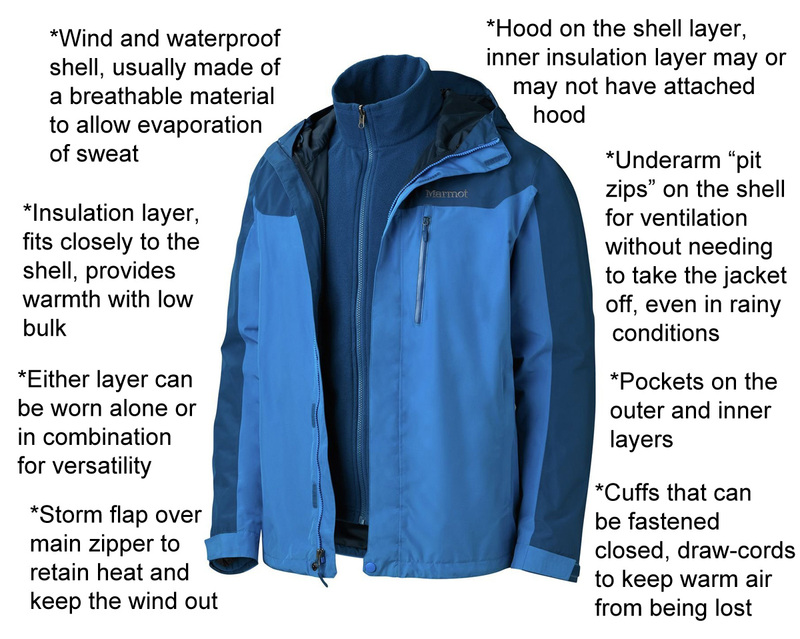 These days the shell layer is almost always made of a breathable waterproof and windproof fabric, and if it's not, then find one that is, the difference in comfort is very significant. You can read at great length about which breathable fabric is "best" with many tables and graphs if you so wish, though these often simply reflect the marketing spend by the fabric manufacturers. 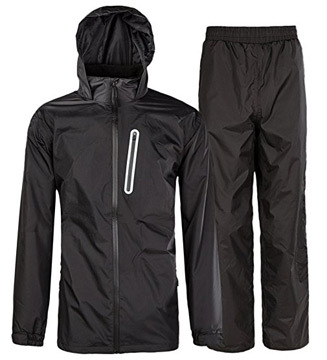 Breathable fabrics in this context consist of a membrane that is porous to tiny particles of water vapour that can pass through on the way out, but not porous to much larger water droplets in the form of rain. So they keep the rain out without getting you sweaty. 2 layer - membrane + bonded outer, these will have a layer of loose hanging fabric or mesh on the inside. This gives the quietest material. 2.5 layer - membrane + bonded outer + thin inner part-layer. This gives the lightest material. 3 layer - membrane + bonded outer + bonded inner. This gives the overall best performance. So you can find the same basic membrane with quite different textures and fabric weights (and cost to some degree) in different garments. 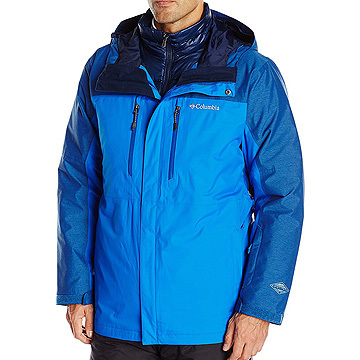 Goretex, eVent, Dryvent and Hyvent are some of the best known breathable waterproof membranes and all work very well, there are also a number of others too which are often more similar than they are different despite the manufacturers giving them a new name and claiming their material is superior to everyone else's. 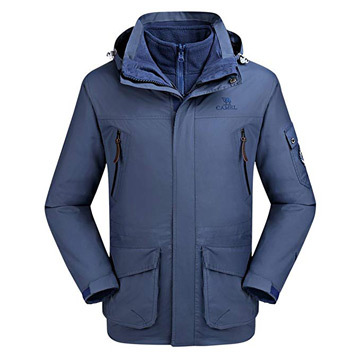 Established manufacturers non-budget jackets can be trusted to perform very well. 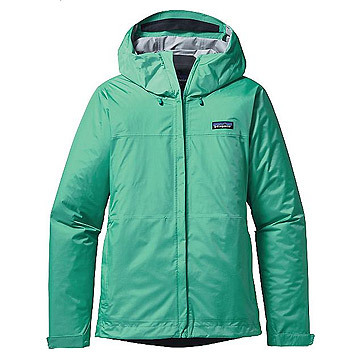 These are usually fairly lightweight and may have synthetic insulation, down insulation or be made of synthetic fleece. They can be worn on their own without any indication that they are half of a pair. Synthetic insulation - better if it gets wet than down, thicker for a similar warmth, and heavier, cheaper than down though doesn't compress so well . 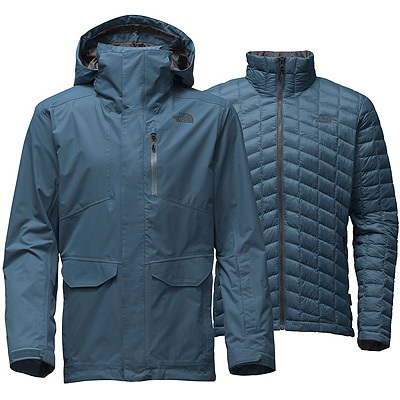 As the level of insulation in a 3 in 1 jacket is usually less than a dedicated insulated outer shell, the advantages of down are less obvious here. 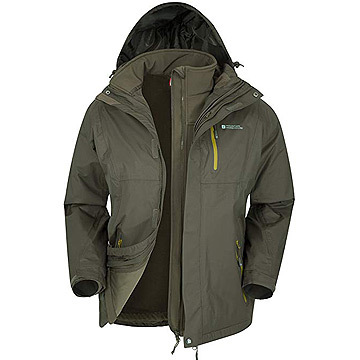 Down - the highest quality insulation, not so common in 3 in 1 jackets, may seem to be particularly expensive, partly because while the insulation costs more than synthetic, so there's no point on scrimping on cheaper other materials and design features, hence 3 in 1 down jackets are usually high end in all respects. 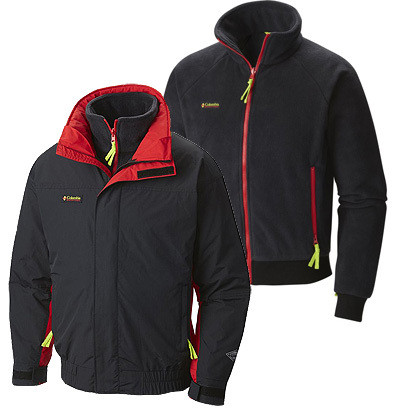 Fleece - a more affordable solution, though still giving serious insulation and performance in all respects. 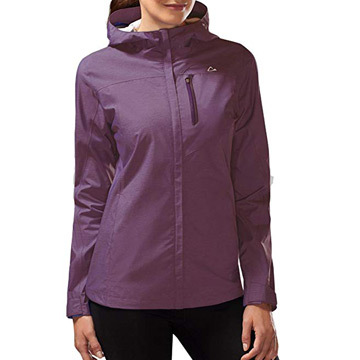 Breathable outer, zip-in fleece liner, 20+ colors! 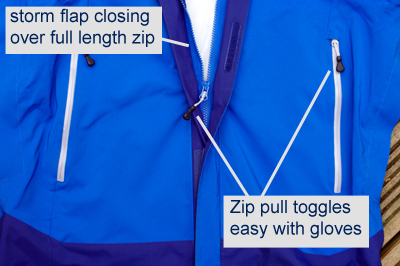 Toggles and tapes on zip pulls make them easy to use with gloves and mittens on. 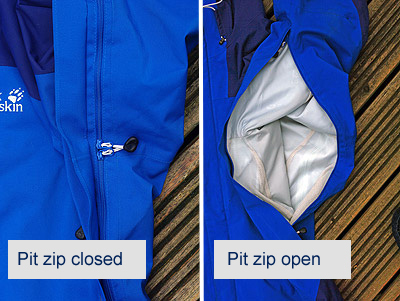 A storm flap covering the main zip avoids a thin insulation area where heat could escape, they also keep the wind, rain and snow at bay. Underarm ventilation in the form of "Pit Zips" are found on some shell layers. 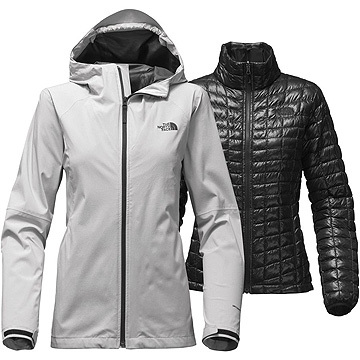 These take the form of 2 zip-pullers starting in the arm pit, one stretches to near to the elbow, the other goes down the side of the jacket. 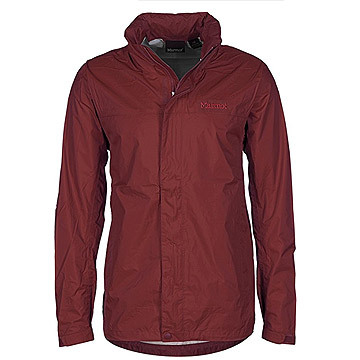 As they are protected they may be unzipped even during rain to give significant ventilation without unzipping the front of the jacket, equally as useful on windy days to stop the front flapping about.